We have known about the Resident Evil 2 Remake for quite some time, but only last week we have been able to see the game in action. 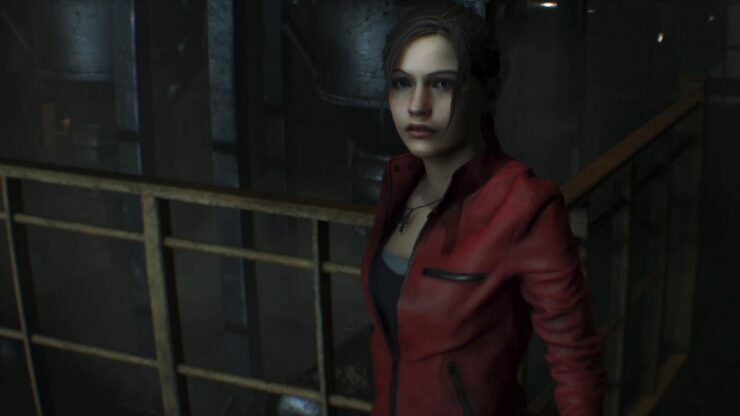 Unlike the Resident Evil Remake, the upcoming game will come with an over the should camera, and the producers have chosen it for a few reasons. Speaking with Rely On Horror, Producer Yoshiaki Hirabayashi stated that the over the shoulder camera allows a better representation of the struggle between the player and the enemy, unlike third person and first person views. Looking at the series history so far as a sort of options on the table for what we could’ve done for a new game: we have the classic fixed camera, a third person camera, and even a first person camera with Resident Evil 7. So all of those are the sort of things we could’ve considered and they all have their pros and cons, none is a sort of clear winner for any particular game. But our concept was these up close and personal claustrophobic encounters with more terrifying than ever zombies, and I wanted to see the ‘biter’ and the ‘bitee’ on screen at the same time [Laughs]. With a first person camera, you see the zombie but not yourself; and with a fixed camera you see both but it’s more zoomed out and not as intense. For me the over the shoulder camera gives you that intense struggle between both the character and the enemy. Producer Tsuyoshi Kanda also added that iconic enemies like Mr. X, William Birkin, and the Lickers have been updated due to the different camera. Yes, we had to reconsider the space that the characters are in with the new camera angles. Taking the Licker for example, you first meet it in the ‘Licker corridor’ and while the CG movie plays it’s on the ceiling, then when it goes back to gameplay the Licker immediately drops down to the floor so you can aim down and shoot it. With that sort of camera the Licker can’t really jump around from different angles, but with the new over the shoulder perspective the Licker can move around a 3D environment and introduce 360 degree action. So the Licker will be much more able to utilize the entire space around you because you can see the entire corridor from any angle. It allows for much more elaborate and interesting enemy AI and behavior. Yoshiaki Hirabayashi also confirmed that many of the original’s unique features, such as the dual campaigns starring Leon and Claire will be included in the remake. They have also been streamlined, and the A and B scenarios have been merged for both characters. One of the great things about the original was this sort of two character system where you could get a different perspective on events. Either as Leon the rookie cop, or Claire as a student—the ‘zapping’ system as it was known where there was A parts and B parts to each character. We still want to replicate that feeling of seeing two sides to the same story through both character’s perspective in their own way. So for that reason we have a Leon campaign and a Claire campaign, they’re separate and you can choose which one you want to play first. We did simplify it a bit and make it more elegant by eliminating the A/B distinction and sort of meshing together what happens to the character’s A and B scenarios into one story. I think players today, they want these sort of deep/intense experiences with the story, and by stretching it across 4 scenarios the story gets spread a little thin and create a sense of repetition by going through the game multiple times to see everything. So for that reason we went with two campaigns that still show all the events of each character’s story rather than have it all split up. Resident Evil 2 Remake launches next year on PC, PlayStation 4 and Xbox One.